Now THAT hits the spot! Blair Moody Elementary School and the Tim Horton's on Ecorse Road partnered recently to put some smiles on the faces of parents dropping off their children at school. 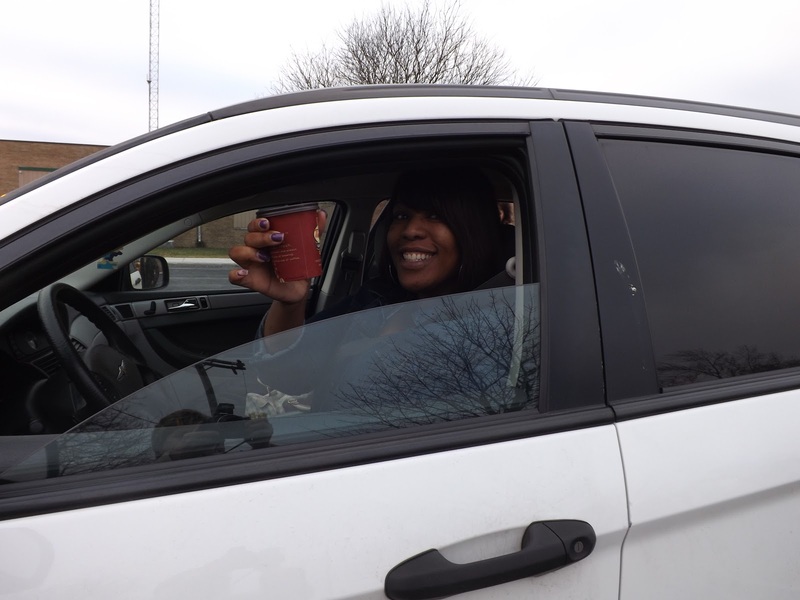 The program was, "You drive in, we serve the hot chocolate!" Tim Horton's was nice enough to donate enough hot chocolate to go around and the teachers in the school were out en masse to hand it out to the parents as they rolled into the school parking lot. "It was a great community building experience." said Blair Moody's Michelle Tocco. Ryan Sawyer, Tyler Mroz, DuWayne Johnson, Ashley Deaver and Wilfrred-Gael Dobessi -- all Truman High School art students -- have been very busy recently. Sawyer was honored as part of the VSA program, thanks to a pair of drawings that he entered. Meanwhile, Mroz, Johnson, Deaver and Dobessi entered the Vans Custom Culture Shoe Design Contest. As a result, they have been awarded a pair of Vans shoes from the company to design. At the next level, their shoe designs will be posted on the company Web Site for the public to vote for the Top 50. Keep watching this blog to see if how the vote turns out! For more on the design contest, click here. "Talk Early & Talk Often," a free nationally recognized parent workshop designed to help parents and caregivers of middle and high school children develop better skills when dealing with abstinence and sexuality, is being offered at Truman High School from 6-8 p.m. March 27. Recognize opportunities to "open the door"
It is never too late to improve a relationship with a child or teenager. Parents should never underestimate the great need that children feel to have a close relationship with their parents. Children want guidance and support -- and this program will help interested parents develop their own support plan. Parents are the prime educators of their children and continue communication at home is vital in helping unprepared children avoid serious problems. For nearly a decade, "Talk Early & Often" has consistently received high praise from parents, educators and community leaders. The workshop was developed with support from several state agencies. 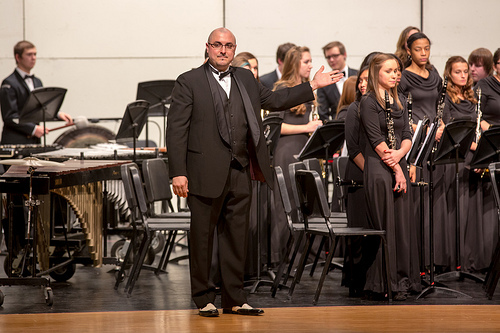 The Truman High School Symphonic Band, under the direction of Jason Cassell, received a "1" rating at District 12 MSBOA (Michigan School Band & Orchestra Association) Festival. The band performed three selections and was given a "1" final rating by three judges. In addition, the band performs for a single judge a new, previously unseen piece of music, which they receive 5 minutes to study. After the study period, the band performs the music for the judge, and is given a rating. The Truman Symphonic Band received a "1" for its sight reading efforts. Receiving a "1" qualifies the band to participate in state band festival. The band will perform at state band festival at Redford Thurston High School on April 25-26. For more information on the band, click on www.hstband.com. Click for a photo of the Truman band. 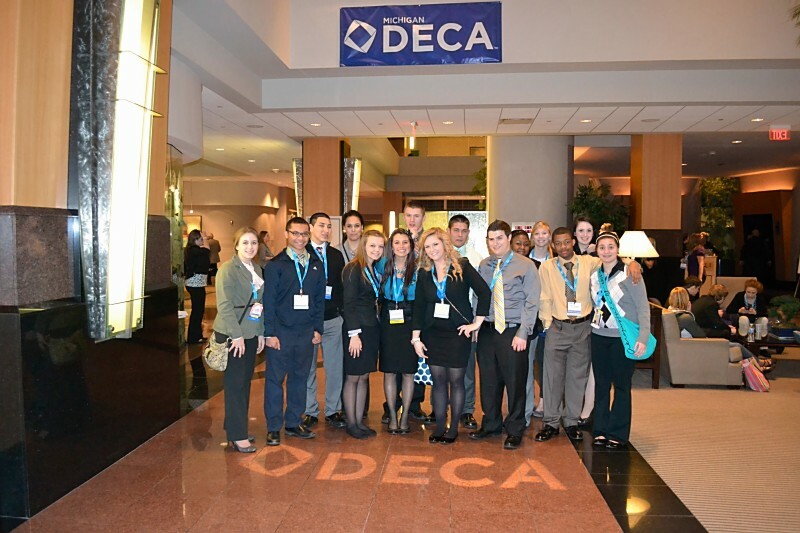 The Truman High School DECA Club competed in the district competition at Eastern Michigan University on Jan. 11 and were highly successful. 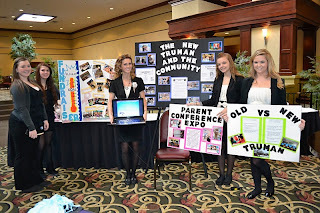 The club brought home 48 medals in the fields of Marketing, Hospitality and Tourism, Restaurant Management, Business Management, and Human Resource Management. 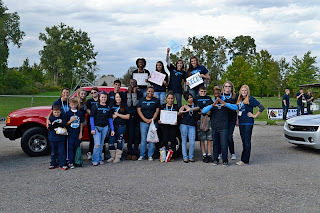 The club had 40 students that qualified for the state competition and had the largest downriver chapter of District 5 with 144 students. State competition will take place the weekend of March 15-17 in Grand Rapids. Comments? E-mail blogger Karl Ziomek at karlziomek11@gmail.com. The Hoover Middle School Student Council sponsored "Stuck for a Buck" as part of their fundraising campaign for the Leukemia and Lymphoma Society. Students received a piece of duct tape for every $1 they donated to stick Mrs. Quick to the wall during their lunch hours. At the end of all four lunches the final amount raised from this event was $186. Sing the Hoover Middle School Fight Song! We’ll never give up, just the same. We’re the Taylor Hoover Hawks. We soar above all the rest! "I Can Dance": Students collected cans to create food baskets for theholiday season. Drama Club performed "Who Killed a Mockingbird?" School-wide reading program celebrates "The Hobbit" by taking an allschool trip to see the movie on its opening day. It should be noted that Hoover Middle School is NCA accredited; has a highly trained staff that collaborates and plans as a professional learning community; made AYP; and is a Splash School shaping positive lifestyles and attitudes throughschool health. Any comments? E-mail blogger Karl Ziomek at karlziomek11@gmail.com. Welcome to Talking Taylor Schools, the official blog of the Taylor (MI) School District. My name is Karl Ziomek, the former managing editor of The News-Herald Newspapers, and I will be managing this site. The purpose of this story thread is to publish positive news, features and images out of the Taylor School District. On March 6, I met with administrative staff and principals in the school system in an effort to create an in house "communications network." The idea is very simple: Establish key contacts within every school in the district. Those "messengers" will gather news, features and images throughout the school year. They will work with me, and I will publish those stories on this blog. The more information that I receive, the more information that I will post for you to read. Unlike hard copy publications, blogs are literally living, breathing story lines. They can include short posts or lengthy stories -- or anything in between. There are no deadlines in the Internet world. If you have something to post, something to edit, or something to update, you just do it as soon as you have the information on hand. And that is what you should expect in the days, weeks and months ahead. Anything from short, one-paragraph items or lengthy shorts. In some ways, this blog is like the Taylor School District having its own newspaper, only without paper and without limits to what can be published. That's the nice thing about blogs; they offer no space limitations, no postage due for the deliveries, and no ink on your hands when you're done reading. Those affiliated with the Taylor School District feel strongly that we have good stories to tell. There are tons and tons of positive things going on in classrooms across the district, which is the Downiver area's largest public school system. Too often, those positive stories -- stories about your son or daughter, or your neighbor's boy or girl down the street -- get lost in the never-ending flow of other types of news that dominates the media. This is our chance to show you what we're doing in the Taylor schools. Follow us regularly. Tell you friends about us. 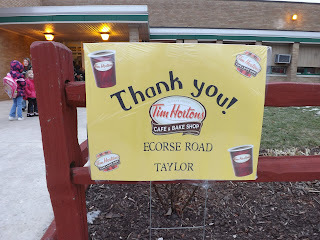 Help us spread the word -- the good word -- about the Taylor School District. We welcome feedback. Free free to email me directly at karlziomek11@gmail.com. I look forward to you coming back in the future.